We were so excited to get dangerous and capture the love at Natalie and Jake's stylish wedding. 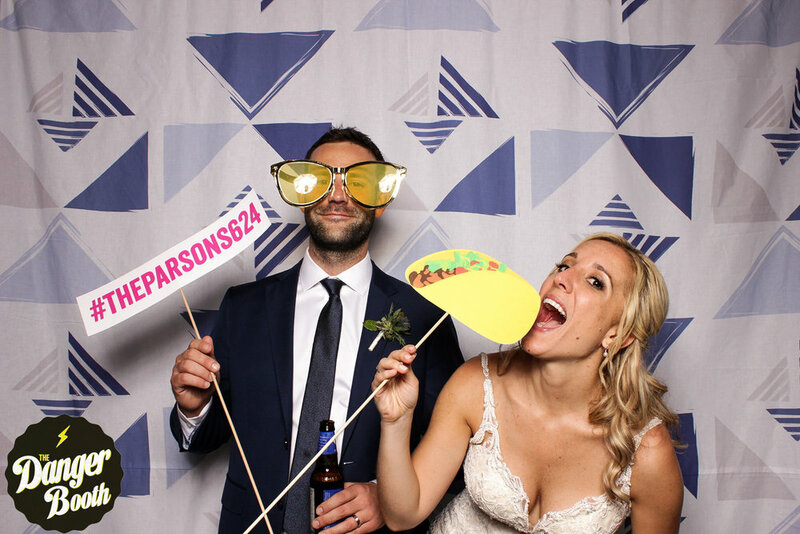 We especially adored their bold, pop art photo booth backdrop - it was the perfect pop of color to go with their hilarious burger and taco photo booth props. Love it! 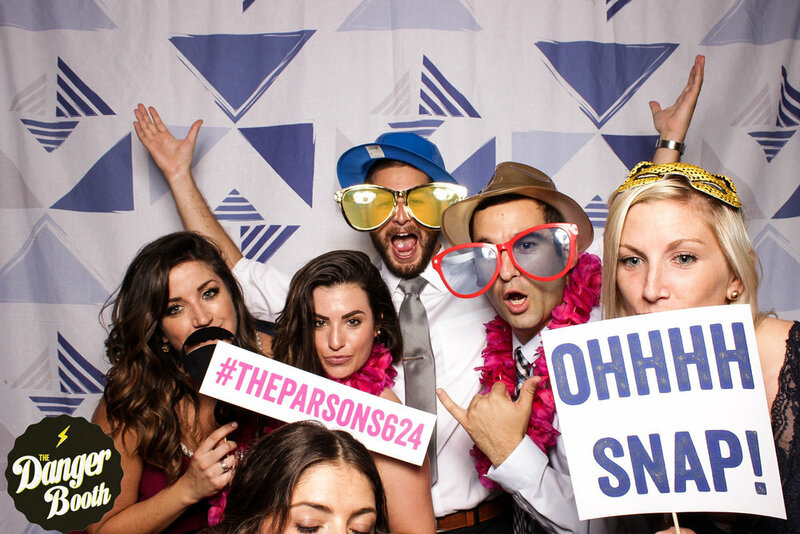 An open air photo booth is an awesome addition to any wedding, and we were so honored to be a part of theirs. Congratulations Jake and Natalie!